This is a hearty cornbread recipe which goes great with many of our chili recipes. 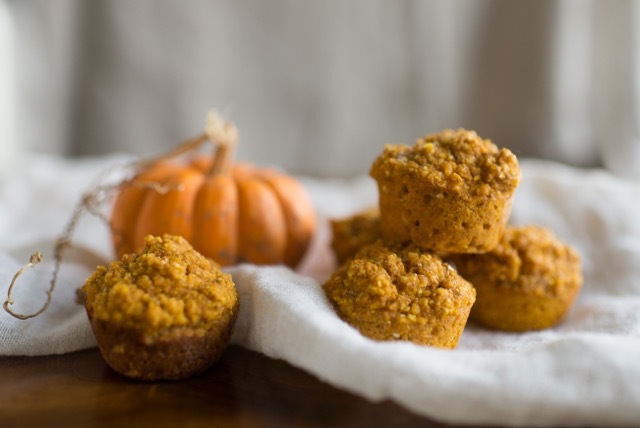 The pumpkin makes it a bit more moist and adds a hint of flavor and extra nutrients. White whole wheat is preferred but all purpose flour could be substituted. Preheat oven to 400 degrees and prepare a standard muffin tin with oil or butter to prevent sticking. Combine cornmeal, flour, baking soda, cinnamon and salt. In a smaller bowl, whisk together pumpkin puree, egg, milk, honey and melted butter. Add wet ingredients to dry ingredients and stir until it just comes together. Divide evenly into 12 muffins and bake for 15-18 minutes until a toothpick comes out clean. Cool for 5 minutes before removing from the muffin tin.